On the 11th hour of the 11th day of the 11th month of 1918, an armistice between Germany and the Allied nations came into effect. On November 11, 1919, Armistice Day was commemorated for the first time. In 1919, President Wilson proclaimed the day should be “filled with solemn pride in the heroism of those who died in the country’s service and with gratitude for the victory.” There were plans for parades, public meetings and a brief suspension of business activities at 11 am. In 1926, the United States Congress officially recognized the end of World War I and declared that the anniversary of the armistice should be commemorated with prayer and thanksgiving. The Congress also requested that the president should “issue a proclamation calling upon the officials to display the flag of the United States on all government buildings on November 11 and inviting the people of the United States to observe the day in schools and churches, or other suitable places, with appropriate ceremonies of friendly relations with all other peoples.” An Act (52 Stat. 351; 5 U.S. Code, Sec. 87a) was approved on May 13, 1938, which made November 11 in each year a legal holiday, known as Armistice Day. This day was originally intended to honor veterans of World War I. A few years later, World War II required the largest mobilization of service men in the history of the United States and American forces fought in Korea. In 1954, the veterans service organizations urged Congress to change the word “Armistice” to “Veterans”. 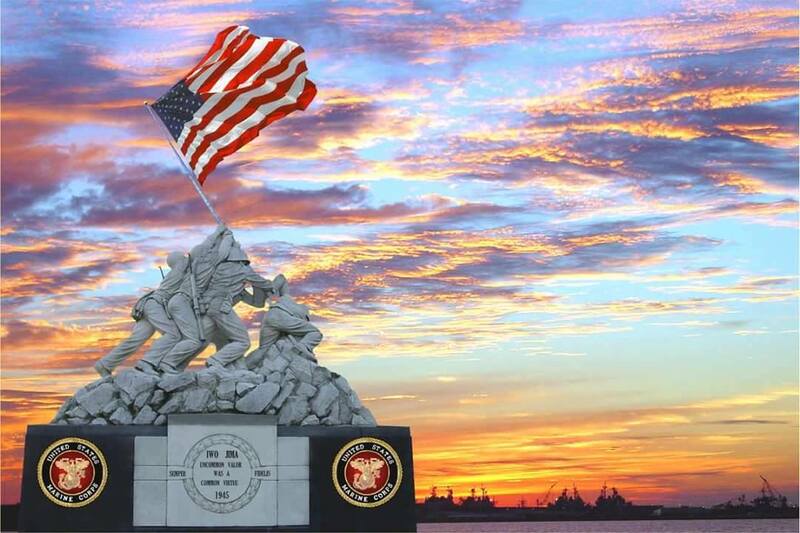 Congress approved this change and on June 1, 1954, November 11 became a day to honor all American veterans, wherever and whenever they had served. In 1968 the Uniform Holiday Bill (Public Law 90-363 (82 Stat. 250)) made an attempt to move Veterans Day to the fourth Monday of October. The bill took effect in 1971. However, this caused a lot of confusion and many states disagreed with this decision and continued to hold Veterans Day activities on November 11. In 1975, President Gerald R. Ford signed Public Law 94-97 (89 Stat. 479), which stated that Veterans Day would again be observed on November 11 from 1978 onwards. 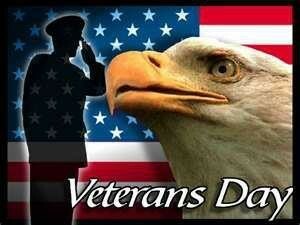 Veterans Day is still observed on November 11. Veterans Day is intended to honor and thank all military personnel who served the United States in all wars, particularly living veterans. It is marked by parades and church services and in many places, the American flag is hung at half-mast. A period of silence lasting two minutes may be held at 11 am. Some schools are closed on Veterans Day, while others do not close but choose to mark the occasion with special assemblies or other activities. Hub City Car Wash honors all veterans and active military personnel with free car washes on Veterans Day. If that veteran has a pet, he or she can wash their pet for free that day. We are joined every year with the Grace for Vets with car washes all over the United States giving free washes and breaking a record every year. Click on the Grace for Vets link for more information. Hub City Car Wash is proud to fly the flag 365 days a year. Veterans Day is officially observed on November 11. However, if it falls on a weekday, many communities hold their celebrations on the weekend closest to this date. This is to enable more people to attend and participate in the events. Federal government office is closed on November 11. If Veterans Day falls on a Saturday, they are closed on Friday, November 10. If Veterans Day falls on a Sunday, they are closed on Monday, November 12. State and local governments, schools and non-governmental businesses are not required to close and may decide to remain open or closed. Public transit systems may follow a regular or holiday schedule. Please mark your calendar Nov 11, for your free wash. Thanks again Hub City Car Wash.
Arthur Boorman was a disabled veteran of the Gulf War for 15 years and was told by his doctors that he would never be able to walk on his own, ever again. He stumbled upon an article about Diamond Dallas Page doing Yoga and decided to give it a try – he couldn’t do traditional, higher impact exercise, so he tried DDP YOGA and sent an e-mail to Dallas telling him his story. Dallas was so moved by his story, he began emailing and speaking on the phone with Arthur throughout his journey – he encouraged Arthur to keep going and to believe that anything was possible. Even though doctors told him that walking would never happen, Arthur was persistent. He fell many times but kept going. Arthur was getting stronger rapidly, and he was losing weight at an incredible rate! Because of DDP’s specialized workout, he gained tremendous balance and flexibility – which gave him hope that maybe someday, he’d be able to walk again. His story is proof that we cannot place limits on what we are capable of doing because we often do not know our own potential. Neither Arthur, nor Dallas knew what he would go on to accomplish, but this video speaks for itself. In less than a year, Arthur completely transformed his life. If only we had known what he was capable of, 15 years earlier. Do not waste any time thinking you are stuck – you can take control over your life and change it faster than you might think. Never, Ever Give Up. Authur's Inspirational Transformation! EXTENDED CUT OF THIS VIDEO! HOPEFULLY THIS , TORY CAN INSPIRE YOU TO FOLLOW YOUR DREAMS – WHATEVER THEY MAY BE.